Mix refined flour, butter, yogurt and a little salt in a bowl and make dough. Keep the dough for half an hour in the fridge. Put mince, red chilies, salt, turmeric powder and ginger garlic paste in a pot. Cook till all water dries up. Heat 3 tbsp oil in a pan. Add onions and mince and fry it. Turn off the flame when mince is fried. Add finely chopped green chilies and coriander leaves. 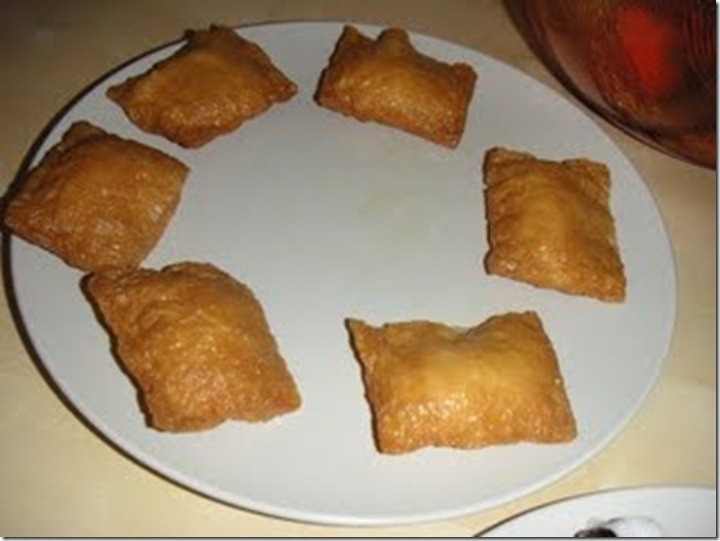 Divide the dough in 12 equal balls and roll them out in squares. Put mince on each piece and fold each into pockets. Seal the ends with egg. Heat oil in a wok, fry looqmis and take them out on paper towels when they turn golden.